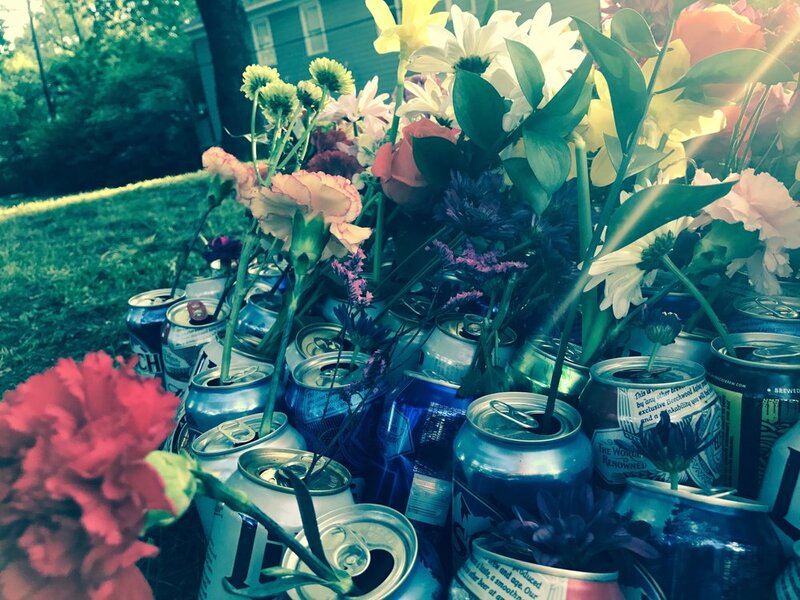 Brief description: Relational memorial made of beer equal in weight to my brother, then, flowers. After my brother's cremation and funeral, I placed the weight of beer that was equivalent to the weight of his body in a circle on the ground in the park where we played as children. I invited loved ones to drink or pour the beers out, place a flower in the can, and return the now-nearly-weightless can to the pile. We completed it over the course of roughly three hours.